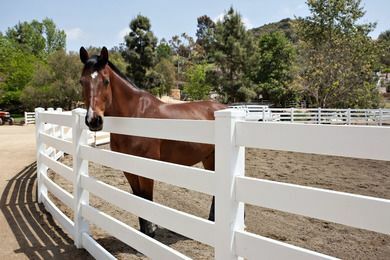 On the eastern flank of Encinitas, Olivenhain is a beautiful rural area with open horse country, pastures, flower farms, and exclusive real estate. Warm summer evenings are perfect for star gazing in Olivenhain, which has a “dark skies” policy designed to protect your view of the night sky. Thanks to low-density zoning and the involvement of its committed residents, Olivenhain is a pretty residential region of winding two-lane roads, rail fences, horse trails and hiking paths. Sidewalks and streetlights are a rarity, and many families have horses and beautiful gardens. Superb equestrian facilities and horse arenas attract visitors and residents alike to ride and compete at a range of yearly events. The close knit community celebrates several annual events together, including a Beer and Bratwurst Festival every spring, a Halloween Party in October, and a Holiday Party in December. There are plenty of parks in Olivenhain, including Little Oaks, a horse park with a riding ring and trail access. Nearby Encinitas and Carlsbad provide convenient shopping and services and the coastal interstate is less than eight miles from Olivenhain. Homes are upscale and spacious and Olivenhain real estate is valuable and highly sought after. There are only a hundred condominiums in the community, and the remainder of the dwellings are single family homes, many with citrus and avocado orchards and gardens in their back yards. With a total of 1616 homes possible in the area and a total of 1500 already built, Olivenhain will long remain a rural haven close to city amenities and the gorgeous beaches of the Pacific Coast. Olivenhain is in San Diego County, California, about five miles inland from downtown Encinitas. 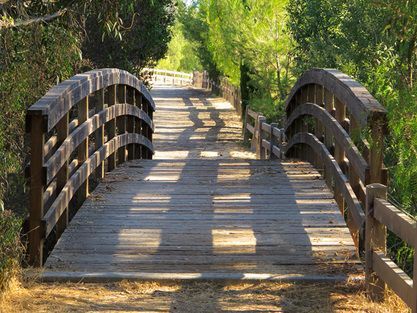 Stretching from San Elijo Lagoon in the south to Lone Jack Road in the north, Olivenhain runs along both sides of Manchester Avenue and Rancho Santa Fe Road. I-5 is five or six miles west of Olivenhain and it follows the coast south to San Diego (about thirty miles south) and north to Los Angeles (about one-hundred-thirty miles). I-15 also journeys north/south, and is ten to fifteen miles east of Olivenhain. The San Diego International Airport is about twenty-eight miles south of Olivenhain and has flights to cities across the nation and to North and South America. The McClellan-Palomar Airport in nearby Carlsbad serves light aircraft (both private and commercial) and provides an air-shuttle to surrounding airports. Taxi and limousine rental are available at the airport. The San Diego Metropolitan Transit System provides an ample bus and rail service throughout the pacific coast region north of San Diego, with bus links into Olivenhain. Nearby Encinitas has a rail connection to San Diego and other coastal towns. Originally Indian territory until the Spaniards colonized it in the seventeenth century, the Olivenhain area remained unsettled until the early nineteenth century, when Ybarra, a Mexican farmer, was granted it by his government to use as a rancho. California passed to the Americans in 1848, but Ybarra kept his rancho until 1860, when he sold it to developers. A small band of German immigrants settled the area in 1884, naming it “Olivenhain,” which is German for “olive grove”. Would-be members bought into the colony and received a five acre parcel of cultivated land, a house, and the use of communally owned farm equipment. They had to speak German, and could not be lawyers, pawnbrokers, insurance agents, gamblers, or those of “questionable character.” The arriving settlers had to build their homes, dig wells, and break the dry soil. The colony founders were corrupt and the colony dissolved in 1887, leaving behind it the historic Olivenhain Meeting Hall that is still used today for social events and meetings. Many farming families remained however, and these early settlers and their descendents successfully farmed the region until the nineteen-fifties, when water became increasingly scarce and it was less economically viable. Coupled with the post-war boom, the decline in farming necessitated a change for Olivenhain, from a rural to a residential community. Farms gave way to large homes on half-acre lots and careful planning ensured that the community maintained a rural feel. Lone Jack Road remained unpaved into the nineteen-seventies. Olivenhain students attend some of the best schools in San Diego County. The Encinitas Union Elementary School District is rated high in county and state comparisons and the San Dieguito Union High School District has state and national recognition for excellence. There are several good private schools in the area as well. Higher education options include, the California Institute for Human Science in Encinitas, the Gemmological Institute of America in Carlsbad, Palomar College in San Marcos and Mira Costa College in Oceanside. There are several top facilities in San Diego, including the San Diego Miramar College, the San Diego Mesa College, San Diego State University, and the University of California, San Diego.